Is there anything more frustrating than not being able to connect to the internet? Whether you’re trying to watch TV or do some online shopping, your broadband can go from being your best friend to an absolute pain pretty quickly. Are you experiencing problems with your internet connection? 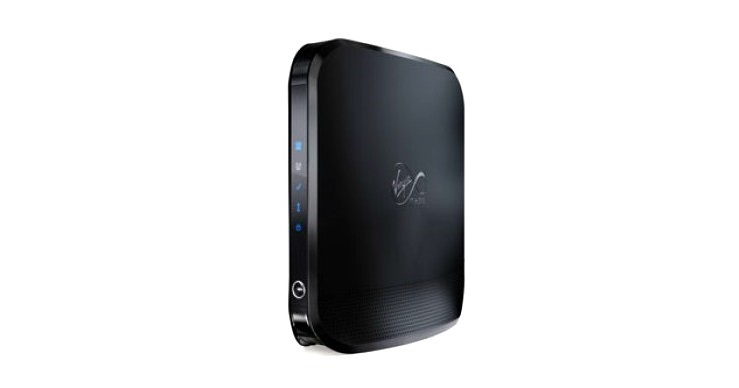 This guide can help you to fix your Virgin Broadband. If your Virgin Broadband isn’t working, it might seem obvious that there is a problem. However, you won’t be able to fix the problem until you know for sure what it is. Trying to diagnose connection problems can be annoying, but you just have to take it step by step. First of all, you should try accessing several different websites. If only one of them has an error message, the problem will be with that website. Check that you are using the correct URL or report the issue to their customer services. Otherwise, your Virgin Broadband should work as normal. If you can’t access the internet at all, then it’s time to take a look at your hub. Make sure to plug in your hub using the power supply that came with it. If you don’t, this could mean that the hub is not getting enough power. This can cause connectivity issues. If you set it up correctly, check the lights on the hub. They might reveal a problem with your broadband connection. Check that the second light on the side panel of your Super Hub is green. The third light should also be green if the wireless connection is working. For a Super Hub 2 or 2ac, the third light will be on if there is a successful Virgin Media network connection. The top two lights should be on and blinking steadily if there is a wireless connection. The most recent hub, 3.0, has different lights. There is a base LED which will be on if the hub is working. The other lights will only turn on if there is a problem. This might be confusing, as it usually works the opposite way. The Wifi symbol light at the top should turn off a few minutes after starting up the hub. If it lights up or flashes red, there is an issue with the connection. The same goes for the internet light below it, which looks like two arrows. The third light operates the same way for the Virgin Phone service. All the hub types have Ethernet port lights, which should be on if you successfully connect your computer via cable. If the lights indicate no connection via Ethernet cable, you should make sure that your device has the Ethernet port enabled. Or if you are connecting wirelessly, try restarting your device and reconnecting to the network. If this still doesn’t work, the problem will be with your hub and not your device. Once you know that the fault is with the Virgin Media connection, what next? 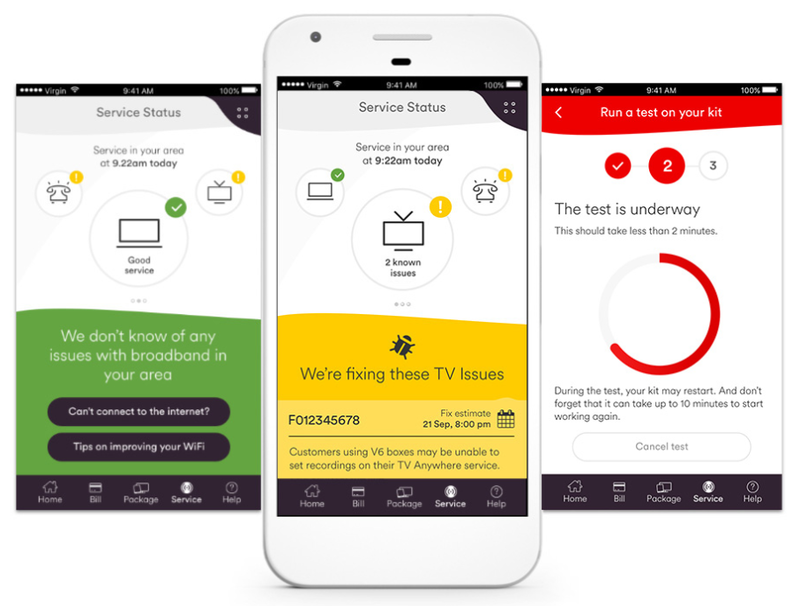 If you have the Virgin Media app, you can use your mobile data to quickly check the service status. Just tap the “Status” area on the app homescreen. Virgin may be carrying out planned maintenance or there could be an unexpected outage in your local area. The app will tell you if there are any problems affecting your connection. It will also estimate a time and date for when Virgin Media will fix these problems. You can also use the app to run a test on your Broadband kit. This test should take less than 2 minutes, but it will restart your hub. It could take up to 10 minutes before it starts working again. There is a limit of 3 tests per day. If you don’t have the app, simply log into your Virgin Media account online. You can check your service status and run tests from there, too. If there is a green tick, there are no network issues. This means that the problem will definitely be with your hub. When your hub isn’t working, you can book an engineer appointment through My Virgin Media. Before you do this, though, there are few quick fixes you can try. It’s annoyingly simple, but you really should try restarting. Turn off the hub and your computer or phone, then switch them back on. Quite often, the network connection establishes again. Wait for at least a full minute before turning everything back on. If the hub lights indicate that it is working but you still can’t connect on your device, seek help from the device manufacturer instead. You can try plugging an Ethernet cable into the hub and your computer for a direct connection. If rebooting by holding down the power button didn’t work, try resetting the hub. On the side of your hub, you will see the word “RESET” beside a pinhole. Use a paperclip or something similar to carefully press the reset button down for at least 20 seconds. This will restore it to default factory settings, disconnecting any devices. You will then have to connect everything again as if you were setting up the hub for the first time. Before you reconnect, Virgin Media recommends restarting. Turn the power supply off for at least 60 seconds after resetting the hub. Allow ten minutes for it to start up, then reconnect your devices. So, what do you do if your hub is working, just not very well? Slow internet connection is the worst. Make sure that your equipment is as up-to-date as possible. This includes Ethernet cables and your device operating system. The connection may become faster once you update. An important thing to do is find the best place in your house for your Virgin Broadband hub. You can keep it near your TV, but not behind it. The hub should be out in the open and standing upright with the lights facing into the room. Do not keep it in a cabinet, and keep it away from fishbowls. Doing these things will reduce the chance of Wifi signal blockages. Aim for a one-metre radius of clearance around your hub. You can still put it next to your TV, just as long as it is not surrounded by clutter. Do not keep a baby monitor or cordless phone close by. The signals from these devices can interfere with your Wifi signal. As mentioned above, you can get the strongest signal by connecting with an Ethernet cable. Games consoles and smart TVs can take over the Wifi. This is why is it a good idea to keep the hub close to your TV and connect these gadgets directly to the Ethernet ports. 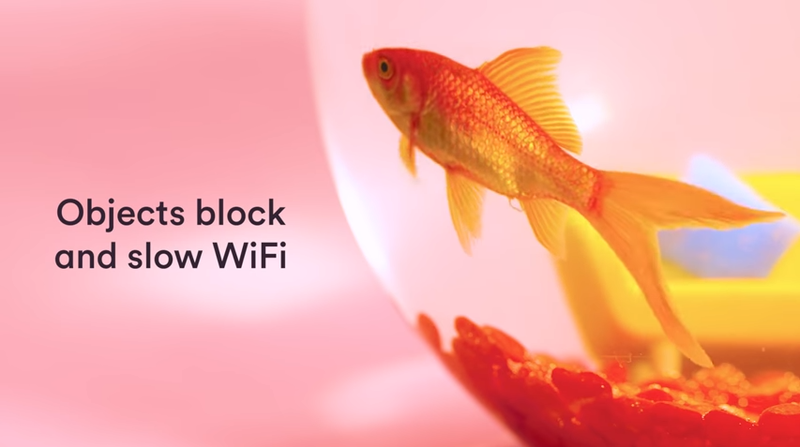 This will allow a stronger Wifi signal to make it past these devices and connect to other ones elsewhere in your house. Have you tried all of the tips in this guide to fix your Virgin Broadband connection? Does your Wifi still not work very well? If you have the time, you can check out the Virgin Media Community. Other Virgin Broadband customers like you will share advice and might have already found a fix for the same issues. 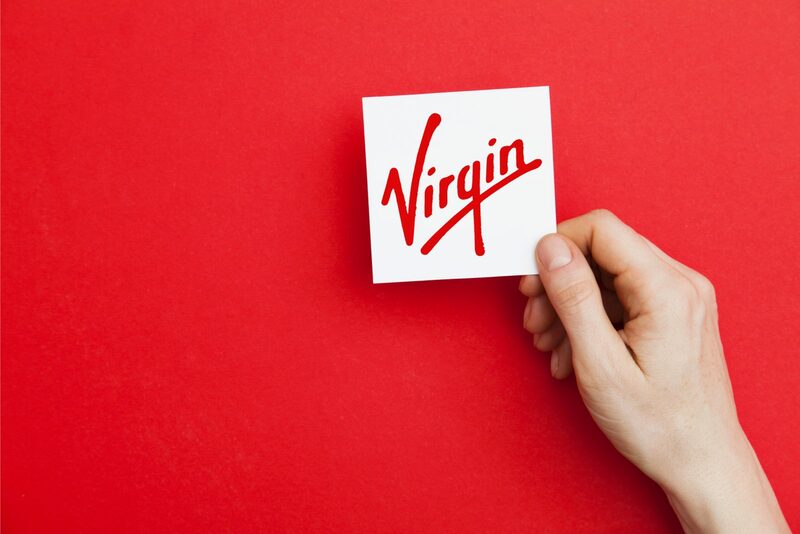 If you just want it sorted as soon as possible, then book an engineer appointment through your My Virgin Media account. Failing that, you can contact Virgin Media directly to complain about your Virgin Broadband or receive technical support. If you think you could get better quality broadband with another provider, use our guide to cancel your Virgin Media Broadband contract.